It gives me great pleasure to welcome you to the Montcycling Team in New Zealand 2019. The stunning south island is full of friendly locals who eat fish and chips (kiwi accent), where everything is Choice and most people are called Bro. You will be riding with your mates through the magnificent country side of New Zealand’s South Island. All rides are recommendations and can be altered to suit due to the weather, needs and requirements of the group or any other unforeseen circumstances. 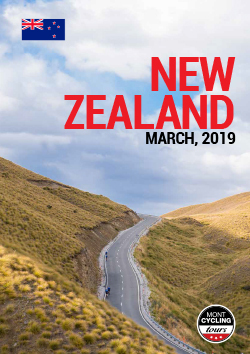 We look forward to escorting you through the rugged and remote area of the South Island of New Zealand in March 2019. $3150 Per Person | Click here to download your booking form and secure your position today.